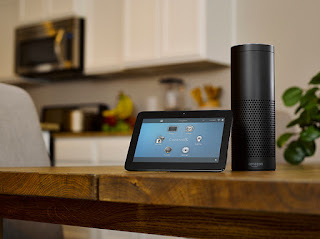 In September, Control 4 announced that Alexa could now integrate with Control4’s home automation system. Alexa was already your personal DJ and information system. Now she can turn on your lights and adjust the temperature in your home. With Amazon’s Alexa, voice control and home automation became that much more simple. Control4 provides users with the power to control one light at a time or create as many lighting pre-sets as needed. Dinner parties can have ambient lighting and a classical playlist, whereas movie night might be dark with the surround sound system calibrated so you feel the explosions of your favorite action movie. Instead of having to go to your device for these settings, you can now simply say “Alexa, execute Dinner Party setting” or "Alexa, execute turn off bedroom light". Alexa doesn’t simply adjust the lighting or temperature. Control4 integrates with all Alexa products, including Echo Dot, Amazon Tap and Amazon Fire TV. This means Alexa can turn on your TV and find your favorite song along with all the other services that Control4 offers. Now you’ll never have to remind your kids to turn the TV off when they leave the room. Simply ask Alexa to do it. This holiday season, be sure to ask Terracom Systems about Control4 integration with Alexa and the convenience that voice-control can bring to your home. Contact Us.